Sigrun helps entrepreneurs turn their passion to profits. When she reached out to me, she was looking for a solution to centralize all her content (free and paid) but also to simplify her process. 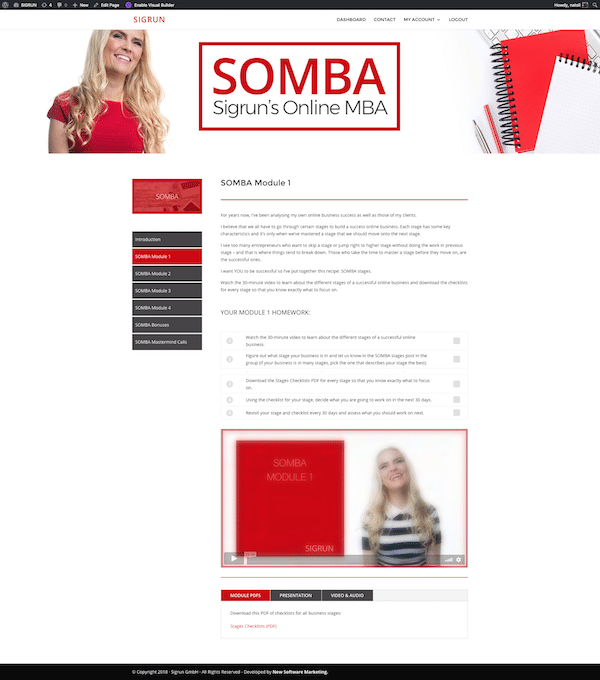 With lead magnets, mini- courses, her MBA called Somba and her coaching program with over 50 members, Sigrun wanted a robust solution that integrates seamlessly with her new CRM Infusionsoft. AccessAlly was the obvious choice in that case and when I showed her a demo she was hooked! There was no real challenge on this project because Sigrun was really clear on what she wanted. One of the easiest projects I have ever worked on! A platform that Sigrun and her amazing team have full control over to add more lead magnets, mini courses and more. 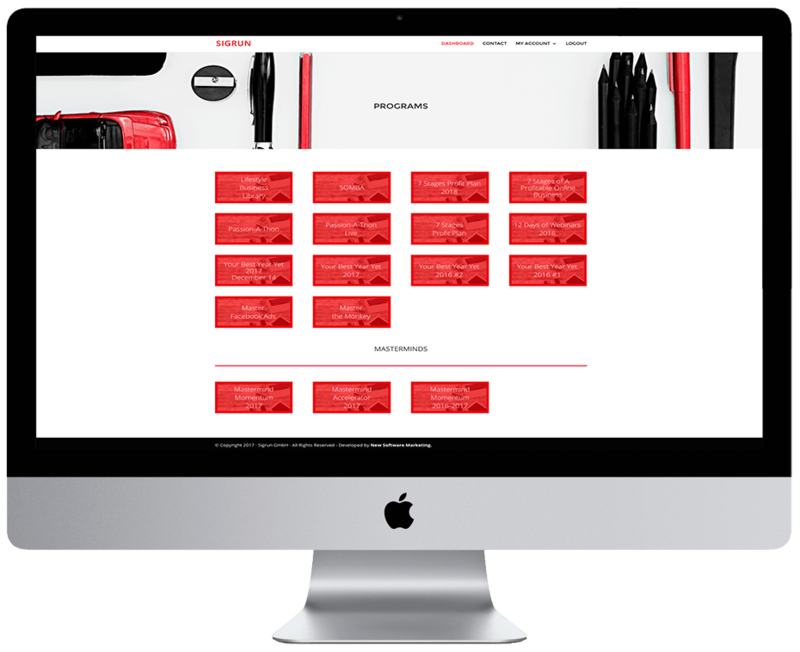 Check out AccessAlly for a complete all in 1 solution for your online business.